to deepen each other’s learning and experience while having fun. It is people focused and values fresh thinking. The MICL Hub builds upon the values of the Masters in Innovation, Creativity and Leadership. What is the aim of the Hub? To build and share our knowledge and experience. What does the Hub do? The Hub is a series of facilitated workshops, designed and organised by the MICL community, undertaken throughout the year. The topics or challenges are chosen by the MICL and cover a broad range of interests. For example, workplace innovation, agile learning and being in flow. The series enables an interactive session which may include a specific challenge setting, a short talk on a topic and facilitated discussion within the community of the MICL. 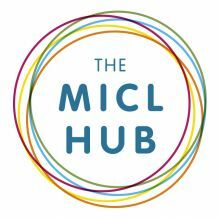 The Hub has enabled the MICL community in small groups to trial tools, share ideas, and set challenges for input and feedback. 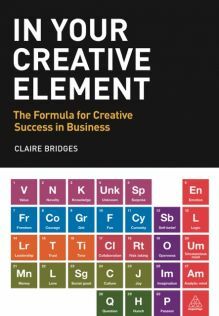 The MICL Hub: Alumna Claire Bridges publishes book "In Your Creative Element” from her MICL coursework artefact. Claire says "In the last of the MICL modules we had to make an artefact that represented our time at Cass and to put on a show to present it. I created a Periodic Table of Creative Elements as a poster and refined that concept to create the book. It is based on Mendeleev’s original periodic table, which itself was created as a way to present known and unknown elements. This struck a chord, because no matter how much you learn about creativity there is still a great deal that is unknown". Claire is a memebr of the MICL Hub and studied our Masters in Innovation, Creativity and Leadership (MICL) 2015 and now runs her own creativity training company. The Hub is open to all alumni, students and staff of the MICL community. The community find these events to be useful for "networking, bouncing off ideas face to face", "external and international experiences" as well as "learning about what's out there in innovation". This Hub serves as a space for sharing how the MICL community are incorporating our academic learning into our everyday practice, whether at work or in our personal lives. It's a way to take inspiration from the different ways the MICL community are translating the theory into practice." Getting into a high performance mind-set (HPM) and back into a HPM when bumped out, can be applied to many (if not all fields of human endeavour). Our session, open to the whole community in July 2016, was about getting into this mind-set and back into it when bumped out, and made links to applying this to creativity and leadership. Even if creativity and leadership aren’t your thing, the HPM can be applied to cooking lunch, communicating with your children, playing a sport, conducting performance appraisals, attending meetings, phone calls, driving your car, learning, and attending masterclasses! We believe any and every field. Watch our video of the event. Check our the tweets from a recent MICL forum: Space 2050 with Tine Bech on Storify and our Q&A as Cass' Entrepreneur in Residence.